What is the best way to go about looking for a quality web design company in Bedford? Webhound Media are a full service digital marketing company serving local business’s who are looking for web design Bedford. We have been in the website design & development industry since 1998 and have in-depth knowledge and experience of what is required to produce websites which meet the needs of our clients. 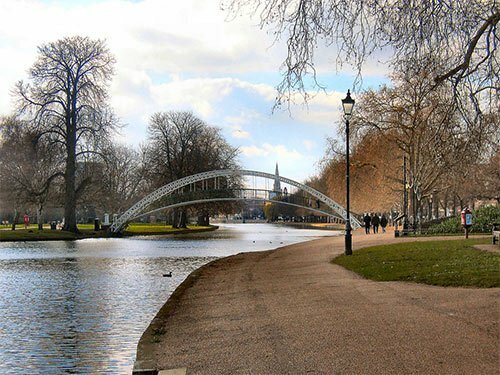 Like other medium-sized towns, Bedford seems to have no shortage of web designers but what factors should be taken into consideration when choosing the right one for your project? Will the web design be unique and relate specifically to your customers or your audience? Does the web-designer carefully listen to your requirements? Does the designer come across as having inspiring ideas of their own? Does their portfolio include Bedford based web design? Are their designs fully responsive, mobile-friendly ones? Will your website be designed with back-end administration which allows you to make changes as and when you need them? Does the website design company provide after sales support? We offer an affordable Bedford based web design service that fulfils all seven of the above requirements. Too many web designers seem to think that stunning graphics and state of the ark widgets are enough to seduce a web-site’s visitors. The truth is that designing a visually compelling website is only part of what a good website design company should be doing for you. We believe in creating sites that are as individual as the business or service they represent. Whether you are a business, a charity or an individual, it is this that reaches out to your visitors and turns them into customers or regular users of whatever it is your site promotes. You may also come across web designers who want to talk at you, rarely pausing to listen to your requirements and ideas. Whilst we have no shortage of inspiration or creative ideas to offer, listening carefully to our client’s ideas and knowledge always comes first. Some web designers provide websites that only they are able to make changes to. This locks their clients into a dependency relationship where important updates can face costly delays. The websites we design use a content management system (C.M.S.). This ensures that you, the website owner, have complete freedom to make content changes as often as you want to. Beware of web designers who say they experts in search engine optimization (S.E.O.) and claim they are able to optimise your website to rank highly with Google. There is a simple test you can apply to check out this sort of claim. All you need to do is run two or three searches in Google, using the most popular search terms, e.g. “Web Design”, “Web Designer” and “Web Design SEO Service”. Ignore any paid ads which appear at the top of the page and look for the web designer’s own website amongst the remaining results on the first two or three pages. If the site is not listed it is self-evident that the designer cannot do for himself what he claims to be able to do for you! The truth is that S.E.O. is the 21st century’s equivalent of the philosopher’s stone. No matter what they tell you, nobody has a formula that will get your website to the top of Google’s search results for popular keywords. However, a combination of good web design and high-quality content will provide a strong foundation on which to build a staircase to the top over a period of time. Our business is web design and digital marketing, not S.E.O. But we do ensure that our designs are search engine friendly ones. This means that your website will have the kind of structure and coding that search engines like Google approve of. It goes without saying that reliability would be high on any list of requirements for web design. Unsurprisingly, every web designer in Bedford will claim to provide the most reliable service. Web designers are no different from any other businesses. They range from the totally reliable to the not-so-reliable. Our new clients are always welcome to verify our position in the “totally reliable” part of the scale by requesting references from past and existing clients. So whether you need a website for your business products or services, your charity, community enterprise, or for something that you do as an individual, why not contact us? Together we can ensure that your business benefits from the best web design company in Bedford. Fill out this quick form and we will give your site a free evaluation and provide you with a no-obligation quote of how we could improve your website & digital marketing. Please check all that apply, if unsure of requirements leave blank.